Building your own deck and railings is not just a job; it’s a DIY adventure. You want your decks and railings to be attractive, functional and safe. Moreover, you want to minimize the amount of maintenance required while also keeping your costs low. Fortunately, all of those must-haves are possible, with the help of Utah Fence Warehouse. One of the most important choices you’ll face is what material is best to use for your project. You can choose a natural wood material or one that has been treated to be insect and weather resistant. You can also select one of the very popular composite deck materials, which have a higher initial cost but require much less maintenance over time. Composite materials are essentially maintenance free, last for decades, and typically carry extensive warranties as well. Before you build, make sure that you check out the local building codes as well as any HOA requirements that may affect you. You may have to obtain a permit and HOA approval for any project that is over a certain height or total size. This is always the way to ensure it’s safe and secure for your family to enjoy. The experienced deck design and installation team at Utah Fence Warehouse is well-versed in local permitting requirements, and available to help you or answer any questions you may have. 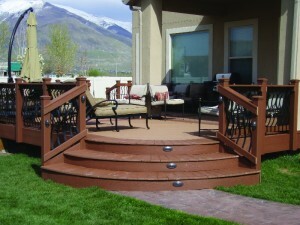 Customers frequently call upon Utah Fence Warehouse to assist with their Utah deck installation. A successful installation, whether you do it yourself or we handle it for you, begins with a solid base. This typically involves concrete footings that meet code and that are dug deep enough to fall below the frost line. If you do elect to handle the deck and railing installation yourself, Utah Fence Warehouse has large tools for loan or rent, which will make this process easier. Another important element of your deck and railing installation is a level and secure ledger. The ledger allows the deck to securely attach to the structure of your building. The structure must be sound enough to support the ledger and the ledger itself must adequately support the deck and railings. Again, you may require a permit for this portion of the installation, and potentially the assistance of a structural engineer. Finally, railings are critical for the safety of your deck. The process of designing and installing safe and attractive decks and railings can be complex, so don’t hesitate to call on Utah Fence Warehouse for assistance throughout the process. Utah Fence Warehouse has everything you need to create and install your own deck and railings, including deck materials, installation equipment and accessories. Our convenient Utah fencing materials and accessories warehouse has everything you need to make your project a success. Stop by or call us today to learn more. 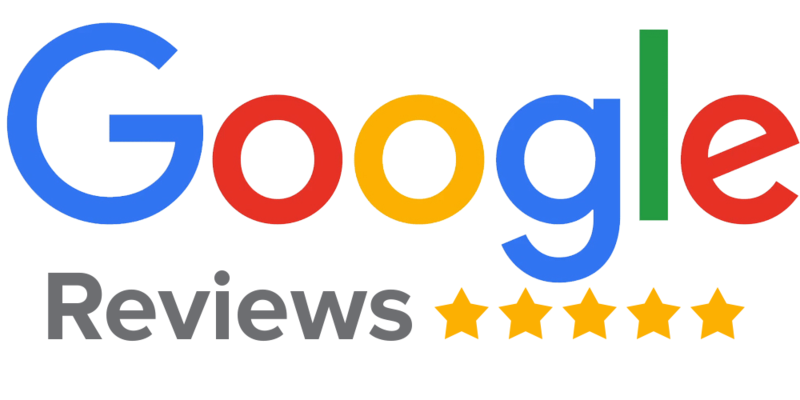 We are committed to your service and satisfaction, and we stand behind our products and services with a comprehensive warranty program.